Muck Rack is, as it says on its website, a new standard in PR Software. As an avid user in my previous companies and as a freelancer, I have found Muck Rack to provide easy sharing capabilities and gathering info as well. I have establish many relationships from blind pitching and responding to inquiries. It's definitely a step up from HARO in my opinion. Pricing. I feel like for small companies under 5 employees or just freelancers, like myself, it can be better priced As a freelancer, it took me a bit to to see ROI in a month. Definitely request a demo and ask as many questions as possible when you are contacted by a rep. Be very clear about your expectations and ask for examples of how this software cab meet your expectations. Although a bit pricey if you fly solo, I feel it is eventually worth it. Your credibility and portfolio will definitely flourish. Pitching. It has expanded my realm of pitching opportunities and has helped me land placements with outlets on my goal list. I have also benefited from the metrics portion of it. I can see where my news has hit, how much engagement it has received and it helps me compare it to other similar stories I have shared to help target the "why is it so successful?" question. The user interface is also very modern and slick whoch makes it very easy to navigate through. "Simple but resourceful for consolidation of clips and analytics among media outlets"
I'm a big fan of Muck Rack to easily consolidate my news clips. It is also a good resource for data analytics among journalists. I also my own CMS programs to create personal pages, but they are hard on up-keep. It also has a very simple to use analytics calculator, just input the article's URL into the "who's shared my article" section, for how many times your article has been shared among other journalists and media outlets shared your article. It also pulls tweet embeds of journalists who have shared the article to show what they said. There are still a few features I have not used yet. The site could have a nicer aesthetic presence, typically in the automatic pull section of news clips. I also have trouble editing logistical information, such as the appropriate phone number to use. Furthermore, the profile section has an odd timeline for filtering priority of information. But hey, it is still way more user friendly and faster than building your own website. This is a great back up website to your personal site, or a good intermediary as you build your own. It also acts as a networking community. As a journalist, it is hard consolidate all the clips you produce. Muck Rack does it for you. In addition, the site also has a feature where you can cultivate your own profile. It is also helpful to know what other journalists/news sites are reading and sharing your work. In this way, you know the type of appeal your articles have on others in the industry, and site places for possible collaboration among outlets. Amazing customer service! I switched over from Cision about a year ago, They made the transition seamless and the user experience of the platform is 10 times better. I've placed dozens of stories using this platform and I recommend it to all of my PR friends. I was not offered an incentive for this review. I just really love this platform. Because the platform is newer, the database of journos isn't as expansive as cision or meltwater. But if I'm looking for someone specific, I use the chat feature and someone sends me a link to the reporters profile within minutes. Try the demo. You won't be disappointed. Also, reach out to their customer service team to learn how to build press lists intuitively. I've connected with reporters who are interested in writing about my organization's issue. It's so easy to follow up with reporters based on articles they've already written using this platform. "Wonderful product; not the perfect fit for my needs"
The user interface on the search was so easy to find and identify freelance journalists or contributors. I love that Muck Rack pulls from Twitter because let's be honest, Twitter and Linkedin get updated a lot faster than a media's website. I go to MuckRack when I have exhausted my google searching, have built a solid media list, and need additional ideas for pitching. It's great to see what reporters have written about (especially since many are freelancers and write for multiple outlets), and I love the feature where you can see who tweeted a specific article. The database seemed to be heavy with reporters for biz and tech, which doesn't help me since I am usually looking for hyper-local writers and influencers. Additionally, I work with a lot of lifestyle writers, and lifestyle can mean so much - including design, interiors, products, food, theater, music, etc. I wish I were able to drill down into results a bit more. I really loved this product and their sales team. I wish that their database had deeper insights into local reporters and media outlets, as well as those covering the vast beat of "lifestyle." I think businesses that are focused on tech or business would really benefit from using MuckRack. Media database. It's great for additional research and finding freelancers who I have no worked with before. The media profiles provide a clear picture of a reporter's interests. I also love the fact that journalists seem to have a great respect for the platform. I appreciate software. The great thing about Muck Rack is that it allowed me to answer questions from a business plan in whether or not we should move towards replacing our UI. Thanks to Muck Rack we've been able to streamline and create automation unlike what we've normally been exposed to previously. I feel that within the user interface there are certain functionalities that still need work. Maybe a drag and drop button to help populate the screen may be easier. However, overall the learning was pretty quick to navigate in onboarding. With Muck Rack development on our project afterward will be so much smoother and will open new doors as to what new things we can accomplish. "Quick Response to Journalist Updates -- But a lot of un-updated journalists"
- The ability to find any information needed about reporters, like their beat, email and recent articles. - The ability to track words and phrases that have to do with my clients. - The ability to send batches of pitches to journalists. - Creating media lists inside the site. - Reporters who change outlets or emails are not often updated unless specifically requested. - Can't download previously created media lists into the website, must start from scratch. Use it if you are ready to switch from manual excel spreadsheets to ones you can create in-website. Use it if you need access to a lot of reporters and their informatuon. Contacting media, keeping track of media coverage of clients and competitors, sending out pitches. "Great for improving your own hiring prospects and identifying great new talent"
MuckRack provides a simple platform on which any individual in the media can build a simple repository of all their published work to date, regardless of the publication source. This is especially useful if you're a freelance writer and you have publications with a wide variety of outlets. Visually, MuckRack is not particularly appealing. Moreover it doesn't provide intuitive ways to organize your clips, such as by publication. Remember to religiously continue to upload your new content, particularly if you;re personally on a job hunt. It's vital to keep your profile up to date so prospective employers can see what you've been up to recently. MuckRack can serve as one of many great ways to see how often a journalist has been published, where they've been published, and easily access their work to review its quality. "Great way to find and connect with journalists"
The huge amount of people registered and the media lists that show this. It really is a one-stop shop, so you won't have to go searching LinkedIn or personal websites, except for additional information. The search feature brings up people, articles, topics, etc. I have not run into anything I disliked yet. This is the way that PR is going and trends suggests that a lot of industries are looking to engage freelancers rather than full-time employees. This is a platform just as good for networking as it is for PR and hiring. "Build Media Lists Efficiently and Easily with Muckrack"
I like how easy it is to find reporters from any outlet and any beat- it only takes seconds and the search process breaks it down really well. I dislike how sometimes the reporter information isn't always the most up to date. Also, there should be more beat categories. For example, I was looking for immigration reporters in certain towns and immigration was not a beat. I then had to scroll through reporters and read their bios to see if they covered immigration- that took a long time! Add more beats and categories. The benefits are that building media lists is fast and easy- there is a lot of information on Muckrack. The Muck Rack newsletter is one of the few that I read almost every day. Written with flair and voice, it helps direct me to the most important news each day. I trust them almost implicitly. In addition, I'm grateful for the way that Muck Rack collates all of my pieces — helpfully showing up fairly high in Google searches. I would definitely recommend to other journalists! It's an excellent news aggregate that saves me a lot of time skimming headlines each day. It also helps collect all of my published pieces under one respectable umbrella, providing advertising at no cost to me. "Loads of info at your fingertips"
This is a very comprehensive aggregation product that allows you to see either yours or another journalist's body of work in one place, or to search a publication. Journalists don't seem to be updated all that well. This may be a passive feature in which someone has to report that a journalist is no longer at the publication, but many of them seem out of date. The email is a good aggregation and the site makes it very easy to search work done by prospective employees. It's very easy to find journalists within specific regions and with specific beats/areas of interest. It's also great for discovering new media within topic areas. I don't like that building media lists isn't super intuitive -- it takes a little work. Overall, though, it's fine - just takes a little bit to figure out. I love using Muck Rack for finding media. It's been really helpful in learning of new reporters to reach out to who we may not know of otherwise. MuckRack helps us put together really, really good media lists. We are able to find untapped media to pitch and get our stories out there. It's a very good resource for finding contact information -- the database contains everyone I've needed. "Muck Rack is a solid place to display your clips"
I liked that my profile was actually already there waiting for me. Muck Rack has some kind of algorithm that collects articles from journalists and compiles them into a bare bones profile. Not a whole lot, functionality wise. I just wish more people used it. If you're a journalist, I recommend trying to search to see if your clips are already on the site! Many of mine were already aggregated into a profile for me. I signed up and it synced my Twitter feed along with a stream of my live articles, which makes for a nice collection of clips. It's an easy and free way as a journalist to display my clips directly from the source. Its easy to use and for the most part up to date on everything. I also like how you can reach out to journalists directly on the platform. It shows their biography, current social media properties, their current place of employment, as well as published articles. Another useful facet on the website is their direct links to their Twitter profiles. I use this a lot in my searches as it helps me connect directly with the author or journalist at the publication. They also have a handy compiling method where you can click all the articles you'll use and save them on your dashboard. Sometimes, in rare cases, author information is out of date. For example, I was using muckrack directly for a briefing, but the articles shown were older than the actual articles that we published on the site. Muck Rack is a great tool for compiling research and quantifying the reach of your subjects. The key in using this service lies in relying on the provided author information. It makes list building far easier and quicker. Moreover, the website is easy to navigate and use so It's definitely easy to jump right in. It makes my reporter searches and article compilations much quicker. I am able to zone in on specific outlets I want to look at, which root out lesser known publications that have a tendancy to be either less popular or less accurate. It cuts my research time in half. 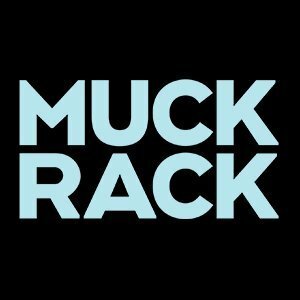 "MuckRack review from a journalist's perspective"
As a journalist, I’m a big fan of this platform. This is a great space to connect journalists with PR individuals. I have made connections with a lot of people telling me they were interested in my work based off of what I’ve written in the past. The only downside is that this system is heavily saturated with national professionals. If you’re looking for local writers or influencers, they may not be hip to this database or it’ll take a lot of searching. Also this database is newer so not everyone is on this. Localization is important and this database needs to expand on that to connect local reporters and media outlets with local businesses. Localize it! Make it easier for PR professionals to find local reporters and media outlets. Make this database small business friendly. As a journalist, I'm finding more opportunities for work. Muck Rack compiles anything I've worked on and the database is so easy to use. For PR people, his is a great tool to build press lists and follow up with reporters based on articles they’ve written in the past (especially on a state or national level). Easy to find reporters when looking to create a media list. Includes all of the reporters' social media platforms and also the latest updates they've made on each site. Also includes other recommendations of contacts who should look into for more information or within the network of that same person. Information on reporters isn't always current or up to date. Sometimes reporters change outlets and this isn't shown on their profile making it difficult to determine if everything is correct. Also, the beat for each reporter can be board. For example, a reporter has the beat of automobile technology but on Muckrack their only listed under technology which isn't specific enough. Not many problems. The database isn't very large so they don't always have every reporter at a specific outlet, so I'd recommend using another database as well. It's nice that they include a photograph of the person your searching in case your a visual person or two people have the same name and your looking for a specific person. "An aggregator without much character"
Muck Rack trawls the web for relevant publication effectively and seems to do a nice job in compiling the list for the journalist concerned. I don't like the layout of the website, as it appears poorly designed and eye-straining. The page hierarchy isn't clear enough for users to know where to look for key information. Anyone seeking information on journalists should also visit the webpage of their publications, as they tend to also have an author page dedicated to archiving purposes. Also, consult their LinkedIn and Twitter accounts for a fuller picture of their recent work. I use Muck Rack primarily to access the journalist's recent publications and to understand the person's beat. "Good resource for journalists and people wanting to learn about journalists alike"
From a journalist's point of view (regarding business development/personal branding), it's a good way to consistently showcase your work in a portfolio-type setting. The media industry needs you to hustle. For anyone else, it's a way to look at the prior work of a journalist (what kinds of outlets have they worked for? what topics are they good at covering? do they specialize or are they general assignment types?) easily, without having to navigate to many different websites (if the journalist has written for many different outlets). The product is not mainstream and not enough working journalists actually use it. Since the value of the information comes from the journalist profiles, there needs to be more profiles. It is definitely a credible product - the journalists on Muck Rack are willing to stand behind their profiles. Muck Rack could probably attract more journalists by showing examples of how people got work through their profiles. It's a convenient, efficient way to see the past work of a journalist. A way to learn about them with less reading and research. It is such a reliable source for contacts. Often times when using other databases, they are outdated or do not have certain contacts. Muckrack on the other hand has every contact I could ever need and also list out their recent work which is a really great help when researching new outlets. I like basically everything about Muckrack and wish that my company used this program as our main source for finding contacts. I believe it is more beneficial for PR specialists to invest their money in MuckRack for media contact purposes than other databases because it is up to date and almost always has the contact info of the person you need. They allow you to find contact information for various editors with ease. "A great tool for assisting with outreach to journalists"
I love that this software is based around Twitter. This gives you real time information to understand what journalists are talking about as well as seeing what they are sharing, what have they written, how they like to be pitched, etc. Journalist can also build a profile on Muckrack and upload articles they've written , and fill out a bio. There is also the capability to search by beat, publication (though not all publications are represented) as well as country. This is extremely useful when trying to connect with foreign media. If a journalist you are trying to reach out to doesn't have a twitter page, or doesn't keep their twitter updated it won't help you. Also, not all publications are represented, I have also searched for several journalists' information (knowing definitively they work at said outlet) only to find no information.The other problem I have noticed is in exporting. Some times the tweets don't export you in the reports I create. That's really annoying. A few flaws but overall I would still highly recommend. Anyone who is in the midst of media list building, or monitors the media for brand mentions or needs to pitch the media on a story this is the software to use. You can build media lists here based off of search parameters, include tweets, email, etc in exports. If you save searches, you can opt to receive email updates on those searches. It is a good cross referencing tool when using Cision. Definitely worth the money. This has made media list building so much easier!! Journalist outreach for pitching about specific non profit campaigns, as well as media monitoring of brand/campaign mentions. Media list building, and curating. The benefit is seeing information in real time. Other software doesn't harness the timeliness of twitter. It is also appreciated especially in the non profit space to be able to do searches around key words, or hashtags depending on what you are monitoring. Another benefit is in using the who shared my link feature. You can see if any journalists are interacting with specific online content. "Great tool for journalists new and old"
I like that the website collects my story "clips" for me, but that I can also add my own if there are any missing. It adds to my credibility as a journalist. I haven't noticed anything I dislike about Muck Rack. Muck Rack allows me to aggregate my story clips for keeping track as well as easy display to others who may be interested. 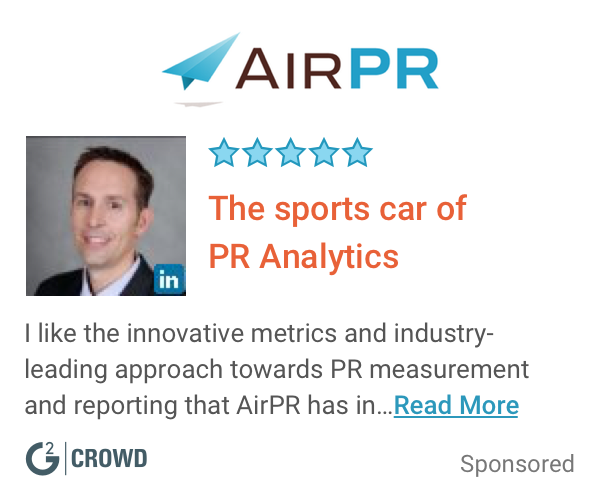 "Timely PR Solution That Provides Broad Coverage and Alerts"
I especially like the timely reviews of our brand name, as well as any relevant industries/categories that I input into my alerts. It's just about instant—much better than Google alerts. Cost is quite high if you don't have a discount, but that said, there is no one PR solution that does it all. I use Muck Rack in combination with other tools. With a limited PR budget, I find Muck Rack helpful for giving me instant insights into which highly-influential reporters are mentioning my brand, my leadership team, or news on my industry. This allows me to respond quickly. Muck Rack is a great third-party verification tool for media professionals. Since they take the time to update your profile with your latest work, it makes it easier to have all in one place if you write for numerous publications. I don't really like that they display your tweets. Twitter is a conversational platform, and so it looks out of context. I use Muck Rack as a freelancer to consolidate my work. It serves as my portfolio to show potential clients. "Muck Rack has changed the way we do our jobs - for the better!" Muck Rack's "coverage reports" and "who shared my link" tools help us track media hits and journalist engagement in ways that we weren't able to do before. It's given us access and insight to journalists who we didn't know covered our company. I wish it included media outlets who shared our stories, instead of just journalists. We're now able to reach journalists who weren't on our radar at first. Muck Rack has elevated how we do digital public relations and it's reshaping our media relations strategy. "In depth information on journalists"
You can see reporter information, latest articles, and tweets in a single dashboard making it easy to start your research. The database is not quite as robust as Cision. Researching outlets and reporters. It has saved me time by being able to access information in one place and vet for further research. The extremely user-friendly platform makes finding media contacts a breeze. Seeing what reporters are tweeting and being able to report shares on earned media coverage helps our company better serve our clients and report to them our successes! "The perfect search engine for communications specialists "
Muckrack allows me and my fellow coworkers to easily search for journalist, monitor news and build reports. I’m always seearch for way to stay on top of the news of the day. Muckrack brings it right to me. Straight to my inbox better than the newsletters I’ve tried to sign up for. I dislike how PR focused it is. As a communication specialist what I do is more similar to marketing combined with journalism so more avenues to prioritize my field would be helpful. "Muck Rack is the leading platform through which aspiring journalist can create, build and store work"
It has a superior format for portfolios. I dislike that I don't spend much time on it. Excellent platform to build and create your journalists portfolio. I am able to solve the problem of not having a decent place to store my articles. There are many benefits such as social network sharing availability and convenience. "Good for Finding Freelancers and Contributors"
It's good for searching for coordinators and freelancers covering a certain beat. I would like to see more journalists and influencers included on the platform! This shouldn't replace your media database, like Cision! It assists with specific pitches that require a search for specific journalists - for pitches that wouldn't be picked up by regular staff writers. It helps keep a pulse on specific conversations! Layout of the journalist's clips -- it's chronological so it's easy to scroll through and see their work and history. Boring HTML format. It looks sort of old. Finding a reporter for our media lists; getting their contact info and work history; and it usually is a god send when the reporter doesn't have a good social media presence. I like that not only do they have the person's Twitter feed but they also give you recent articles they've written. A lot of it you can only access with the paid subscription, which is understandable. Test it out before going Pro to see if it can be implemented with other systems you already use. It's helpful to quickly find reporters and their interests. Muck Rack provides an easy and efficient way to find contacts in journalism. They are always my go-to when looking up people's contact information and usually have the most up-to-date information. Sometimes the information is not accurate when people change companies and change emails. You often have to double check on Cision or other platforms. It is easy to use the platform to find the contact information. Sometimes the search results can be hard to narrow down and too broad, even with the keywords in place. Additionally broadcast producers are harder to track. Finding the best reporters, sharing coverage with client in real time and having metrics in place. Amazingly responsive customer support that answers any questions, does any additional research you ask of them. MuckRack helped us pitch to so many reporters which ended up in 30+ hits in news papers. Muck Rack allows you to easily keep track of clips on a page that can double as a professional website. It looks through the internet for your clips so if you have a common name, it's likely to catch other people's bylines as well. It's easy to remove it but it can be a nuisance. It's also difficult to add bylines they didn't catch. It allowed me to have all of my bylines in one place before I had a good professional website. "Great tool for quick hits directly to your inbox"
The automatic email function is great and easy to see first thing in the morning. The accuracy of the tool. Sometimes it pulls incorrect companies or media mentions. At times, I'll have to really double-check the media mentions pulled and even find some hits that the tool missed. Sometimes this can be complicated. Energy and time around finding media mentions that are positive and negative to adequately address. It saves a lot of time. "Helps me find the write journalists for a story"
It gives me the information I need to make an informed decision. Sometimes information is out of date, so it would be good if there was someone who was responsible for doing regular updates to the database. Landing stories because I pitched the right journalists. There were some confusing parts of the user interface, but it is not going to make me stop using the product. I think it is worth using it. it may be hard to learn but the benefits are worth it. "Where has MuckRack been all my life? " "Good resource for PR Articles"
I like how media information is very easy to find. I wish they pulled in print clips, but that's hard to find these days. The database seems very up to date, and the customer service is great. We went through a trail period, but ended up choosing a service who could have a great database and clipping service. Using MuckRack has helped me find journalists' contact information easily, along with recent articles which has been helpful. It evolved without explaining to long time users like me it's evolution and changes. Finding original stories before they become trending. The team, product speed, efficiency. Excellent product and far better than competitors. Nothing. I love the team, the product, its service, all of it. "Great for creating those complex media lists "
I love the various filters that MuckRack provides—it makes creating media lists so much more efficient. The ability to see recent headlines from journalists is sometimes helpful. The information aggregated by MuckRack is sometimes inaccurate. It often says a journalist is employed by a newspaper simply because that paper reposted the article from its original source. It provided sometimes helpful information tracking down journalists. "Good tool for pitching journalists "
What I like most about Muckrack is that you can see a lot of comprehensive information about journalists all on one page. Sometimes I have found that info is outdated on Muckrack. Business problems we have solved are finding journalists' contact information to be able to pitch them. "Great tool to support media relations best practices"
Sometimes the search isn't as intuitive as I would hope, but still effective. Good searching capabilities for media contacts! * We monitor all Muck Rack reviews to prevent fraudulent reviews and keep review quality high. We do not post reviews by company employees or direct competitors. Validated reviews require the user to submit a screenshot of the product containing their user ID, in order to verify a user is an actual user of the product. Hi there! Are you looking to implement a solution like Muck Rack?